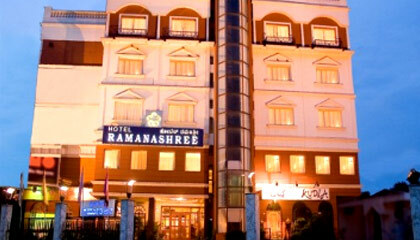 Hotel Ramanashree is sited close from the bus stand. 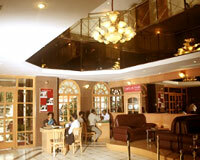 Hotel Ramanashree is one of the leading hotels located in the heart of Mysore. 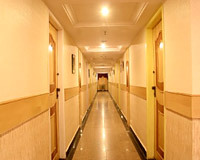 Due to its ideal location, the hotel has become the most popular accommodation option for travelers visiting the city. The warm hospitality, soothing ambience and superb facilities altogether ensure to make every stay absolutely comfortable. 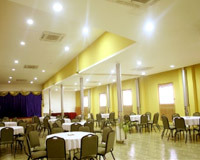 Hotel Ramanashree offers all kinds of business and recreational facilities to make sure that the guests have a good time in Mysore. 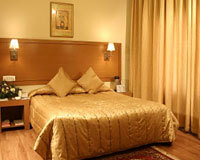 The hotel offers 63 accommodation units, categorized into Double Rooms, Deluxe Rooms and Suites. 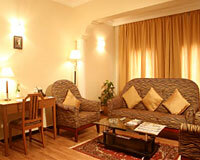 All the rooms and suites are centrally air-conditioned and feature modern amenities. 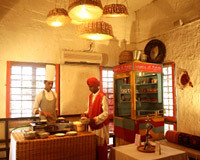 Nithyotsav: A multi-cuisine restaurant to enjoy a range of scrumptious meals. Pizza Corner: A place to get crunchy pizzas and refreshing beverages.